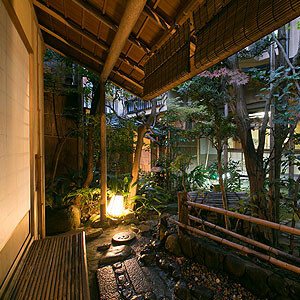 "Yoshi-Ima" is one of the traditional Japanese style Inn (government registered international tourist hotels) located in a very central part of the city of Kyoto. 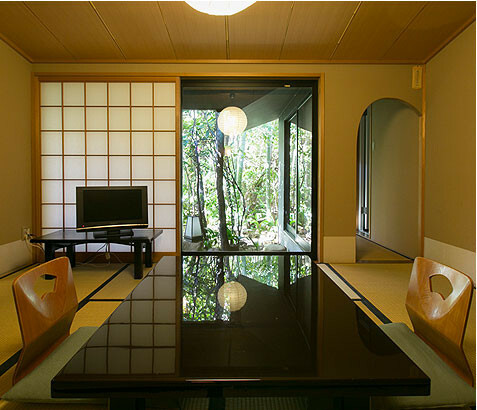 This place has a history started from 1747 and now exists as a Japanese style inn. 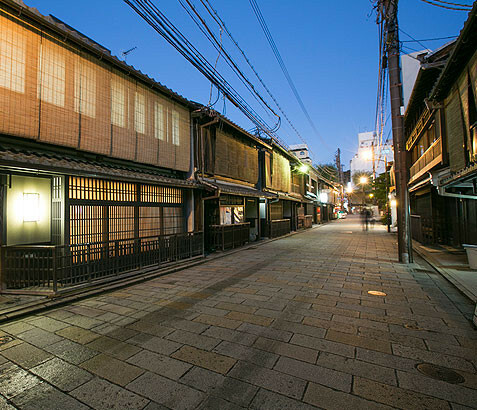 It is a fine artistic wooden structure and facing the historical preserved district in “Gion” area where many of them were high-ranked teahouses in former days. 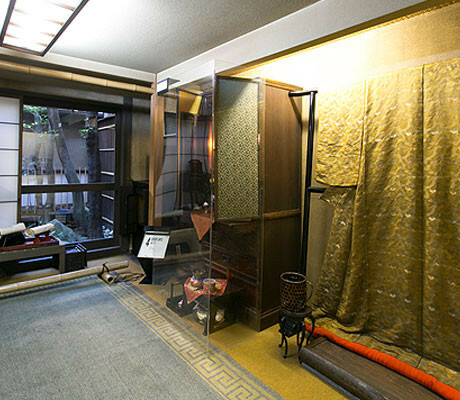 In the 17th century, many theaters and teahouses were developed on the east side of “Kamo river” toward “Yasaka shrine”, and that was the initiation of “Gion” where “Geiko” and “Maiko” (traditional entertainers) who dress up with a gorgeous kimono and make up their faces with white thick powder entertained “Danna” (successful businessmen) at teahouses back in Edo period, and they are still on business here at night. 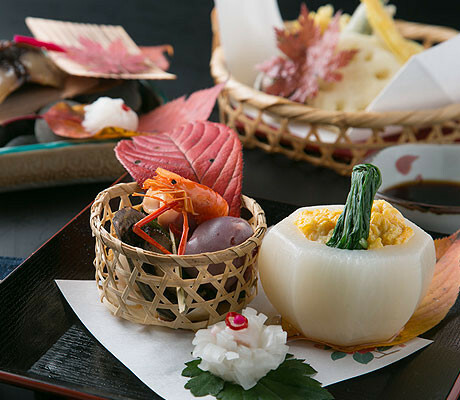 Also, some major historical places such as "Yasaka shrine", “Chionin temple”, "Kodaiji temple" and “Kiyomizu temple” are within your walking distance. You will definitely be able to have a wonderful another cultural experience here! All guests are supposed to take off shoes at the entrance. 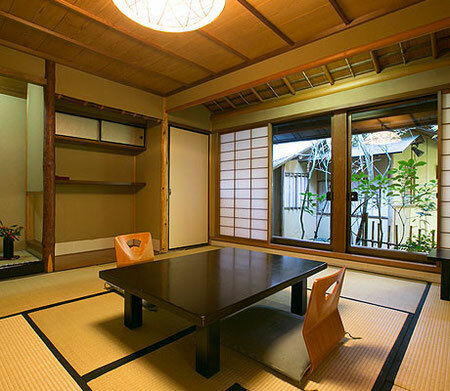 All guest rooms are in Japanese style with “tatami” (grass mats) floor and fully equipped with a bath, toilet and Yukata – relaxing room wear etc. 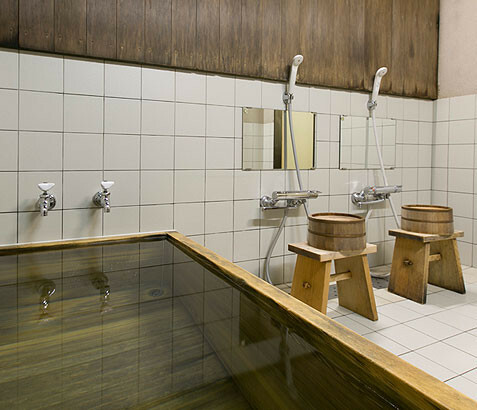 There is also a public bath for private as well as family use if you would like – please make sure that you wash yourself outside of the bath tub and keep the hot water in the bath tub clean for next guests. 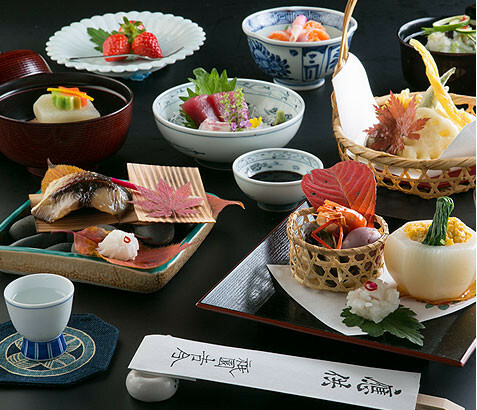 We serve traditional Japanese dishes with an appetizer, raw and grilled fish, tempura, rice and soup etc. *Please let us know in advance if there are any specific requests for ingredients such as only grilled, vegetarian etc. 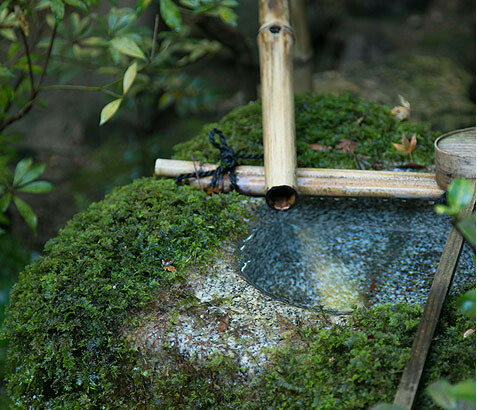 There is a teahouse called “Beni-Tei” in the middle garden, obscurely nestled in perfect harmony with nature but has great presence as “The Sukiya Style” architecture. Also, there is a small court yard called “Tsubo-Niwa” with the stone lantern in Oribe style and over 150 years-old lime trees. 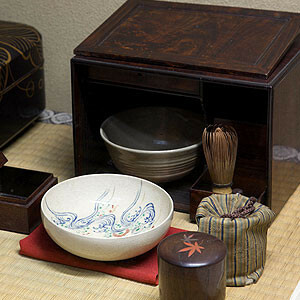 Daily necessaries actually used about 150 years ago are displayed in the Buddhist alter room. 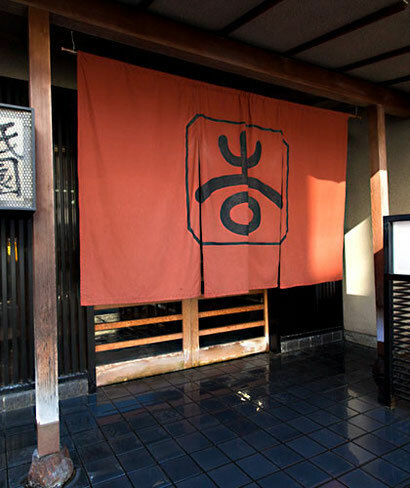 Yoshi-Ima is located in Gion district where is known as “Geiko and Maiko” (traditional entertainers) quarter. Some major historical spots such as Yasaka shrine, Kiyomizu temple etc. also downtown Kyoto are within your walking distance. 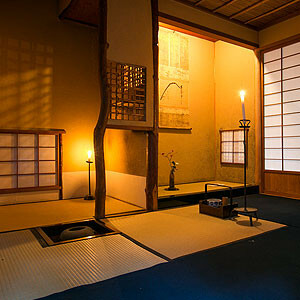 A tea ceremony demonstration under the candlelight is held three times a week (Tue, Thu and Sat) from the middle of March to the end of December. English speaking staffs will give you an explanation of how to enjoy it in English. 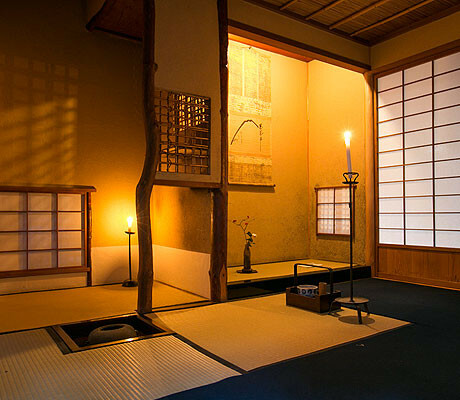 Also, we will give you a small tour of inside the Yoshi-Ima-a water basin, a small court yard called “Tsubo-Niwa”, Buddhist alter room and Shinbashi street.